I stayed at Cocoville for 9nights and absolutely loved it. Room was large in size, clean with all the necessities required (large fridge, microwave, sink, cutlery, tea/coffee making facilities). Location is perfect for anyone training on Soi Taied. Has a great restaurant with healthy food options, friendly staff. I was sick on one of the days and Phillip (hotel manager) kindly offered to take me to the hospital. Thanks Phillip, your presence, excellent customer service and comforting offer was much appreciated. The resort itself is set in a beautiful garden, that truly feels like a piece of paradise. Will definitely be back again. We stayed here for two weeks while training at Tiger. It is quiet and relaxing set in beautiful gardens with two pools. We love it and will return next year. Our villa was spacious and had a pool view. It had a nice shady wrap around veranda which we sat out on or used to dry our hand wraps and boxing gear. The staff are very friendly and helpful and the food in the restaurant healthy and nutritious. It is just a few minutes walk away from Tiger, Unit 27, Dragon etc. 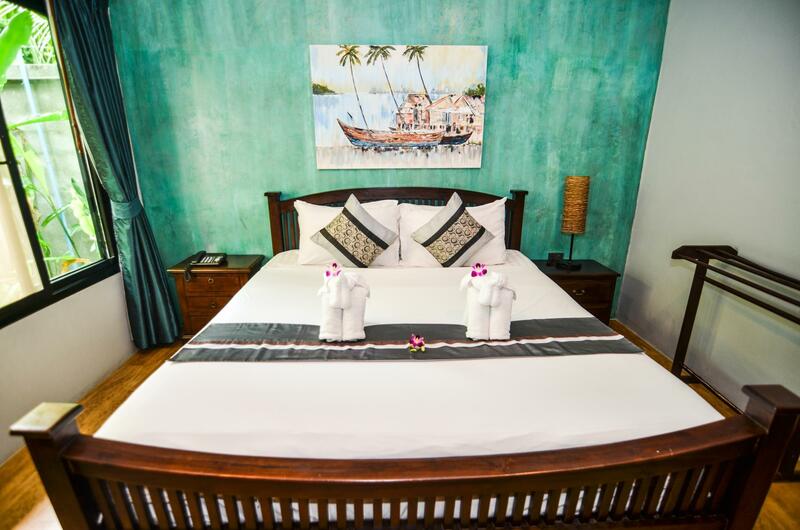 If you want a place outside of Phuket town and away from the bussel of Patong Beach, then this might be the answer. It located about 15 minutes by taxi outside the town on a new soi (small lane) which has attracted a number of enterprises oriented to health and fitness. 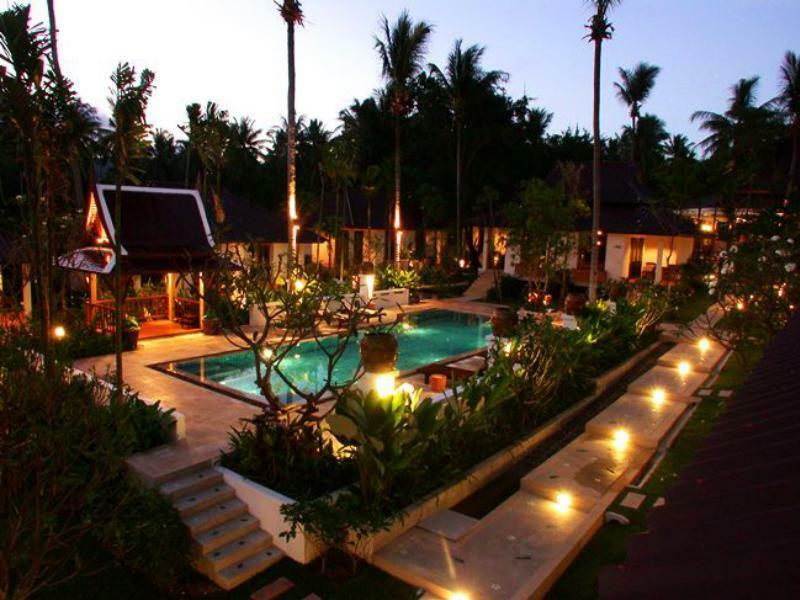 This small resort like hotel is very well run and has a very good restaurant. Nice garden and pool, and some parking. I stayed at Cocoville’s sister retreat which was very similarly priced at times and found the Retreat much nicer but Cocoville has an easier location as it’s off the Soi. The restaurant menu makes it really easy to eat healthy and Cocoville for a solo traveller is ideal because you meet so many people here every day. When I arrived there was some renovations and my room was right near all the banging. I found the bed and pillows really hard and so I spoke to reception and they advised all the beds are hard but they arranged a room move for me and a cover for the bed to soften it and a smaller pillow and I ended up extending another 2 weeks and I would recommend Cocoville for a Chalong stay and I’d definitely stay here again if and when I return. This was my second stay at Cocoville and my partner's first. We both absolutely loved it - the location is great, the rooms and grounds are clean and tidy, restaurant is healthy and yummy and most of all the staff are wonderful. The only slight downfall was the showerhead in our room wasn't great, resulting in water going everywhere, however, this was not a big deal for us. Great place, friendly staff, conveniently located to all the restaurants and gyms on the soi. Rooms are private, comfortable and clean. I highly recommend Cocoville to any and everyone. 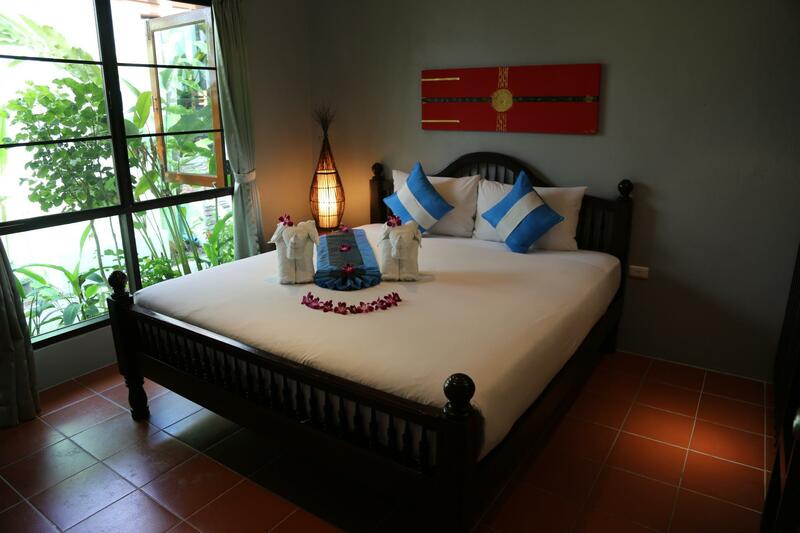 Located just off the famous soi-taied, the hotel is close enough that you can walk around but far enough away that it is very quiet at night. Will be back! I got extremely sick while in Thailand. Cocoville staff and management went above and beyond to help me and make sure I was ok. The resort itself is beautiful and welcoming. I've been here a few times now and love it more each time. This property was recommended to me by a friend as it is close to Tiger. The staff were some of the friendliest I have ever encountered! They work both the reception and dining areas, so you tend to interact with the same people very often. Check-in was easy. I stayed in a Deluxe villa by the pool and reception area. It had 1-bedroom, a living room and good size bathroom. Definitely room enough for a couple. The villa looks out onto the pool area and has a small porch with chairs and a table. Even with the room being near the reception area and a well-traveled walkway, I did not hear much noise and was never disturbed. The bed was comfortable and the room was very clean. Do note that while there is a safe box in the room, it is very small. Ok for small items but not large enough for a lap-top. The restaurant menu caters to a fitness crowd with some wonderful healthy and tasty options. The quality of the food, price and service make it a popular place. You see many people having a meal prior to a workout. It was quite impressive. The pool area is quiet and relaxing. At no point have I seen it crowded or loud. There is a spa on-site as well but I did not have an opportunity to take advantage of it. The entire experience is a bit surreal but certainly in a good way. Paradise is an accurate description if you are here to exercise, eat well, relax and meet good people. I would definitely stay here again on my next visit and highly recommend it. I've come to Chalong several times to train at Unit 27 and Tiger Muay Thai and always choose to stay at the cocoville. The staff are friendly, the pools are great, the restuarant is delicious and it's like a little bit of paradise, perfect after a hard day training. Stayed here for a week when training at the Muay Thai gyms. Staff speaks probably better English than many 5 star hotels in Thailand; food has many healthy options and the rooms were always wonderfully tidied up and very clean. Two pools are beautiful; surrounded by palm trees as if in a forest. Very sad to leave that place. Would come here anytime again. Stayed there for a week to try out classes in Tiger Muay Tiger, Phuket Top Team & Dragon Muay Thai. Great location as it's in between Tiger & Phuket Top Team so it's close enough to walk to both gyms. Dragon Muay Thai is like right across it. The customer service is excellent! They provide a quick laundry service, motorbike rental (when we had a problem with the motorbike, they fixed it with no charge) and they also helped us arrange our day tour to Phi Phi Island (we thought wouldn't be able to since we tried to book the trip a day before). Wifi is strong and they have airport pick up/drop off. There's a restaurant by the reception area with a great selection of food--healthy dishes for those who are there to train, thai food for those who want to try the local cuisine and a selection of international dishes for those who aren't very adventurous with food. You can dine there or have it sent to your room or by the pool. The staff is very, very friendly and accommodating. A little paradise in the hidden alley - A group of us stayed at Cocoville for a week and we all fell in love with the place, the food and the service provided by the staff members. The food was absolutely amazing and healthy, there were several nights that we preferred to dine in instead of going out. The staff members were accommodating and personable. They will try their best to meet your needs and help you plan your stay. Will definitely come back to Phuket and stay at Cocoville again! We only stayed one night but I was plesantly surprised by the quality of the hotel. Having stayed in Patong for couple of days, we were looking something quiet and this place was perfect. 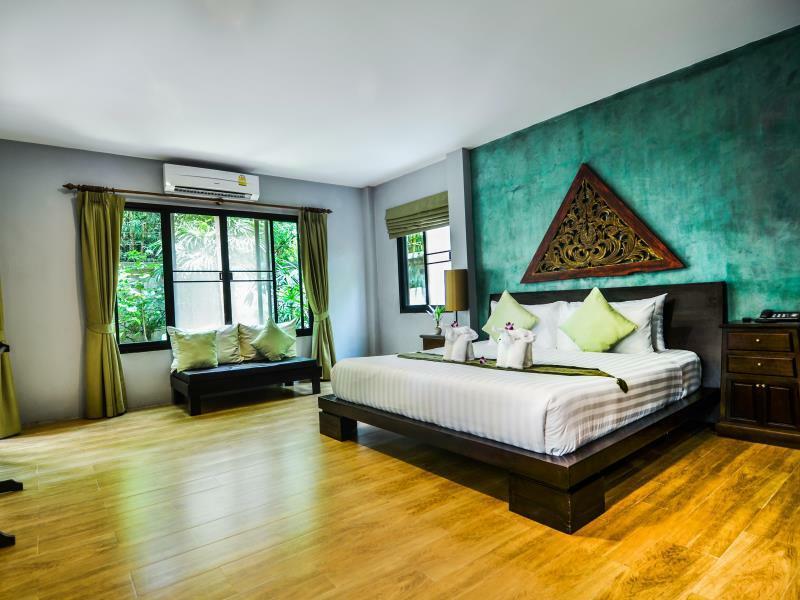 Nice room for resonable price, great pool and also good restaurant.